For the best in collision repair equipment, call the industry leaders. 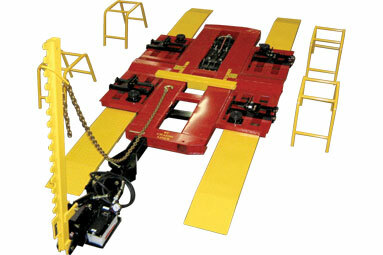 We're the largest manufacturer of frame racks in the collision repair industry. 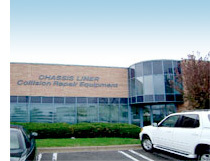 With over 25 years experience, Chassis Liner offers a full line of collision repair equipment, including heavy-duty frame racks, tool boards, accessories, measuring systems and more. 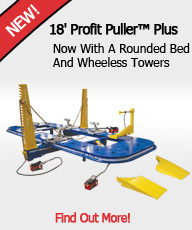 A scissor lift PLUS a portable frame rack, all in one package at a great price! • Pull Up to 8 Tons! Six working heights from 4.5" to 37"
Copyright © 2010 Chassis Liner | All rights reserved.